Spicy food and pot brownies sounds like a bad combo — I’m not judging — but a new study suggests they at least have one thing in common: they both calm the gut. According to a new study, hot peppers and marijuana contain chemicals that interact with the same receptors that line the stomach. The findings suggest that both foods could have a therapeutic effect against diabetes and colitis. Moreover, the relationship between the immune system, gut, and the brain seems richer than ever. You can’t taste with your stomach, but the same biochemical receptors found in the mouth that trigger that “hot! hot!” response when you taste a hot pepper are present throughout the gastrointenstinal tract. 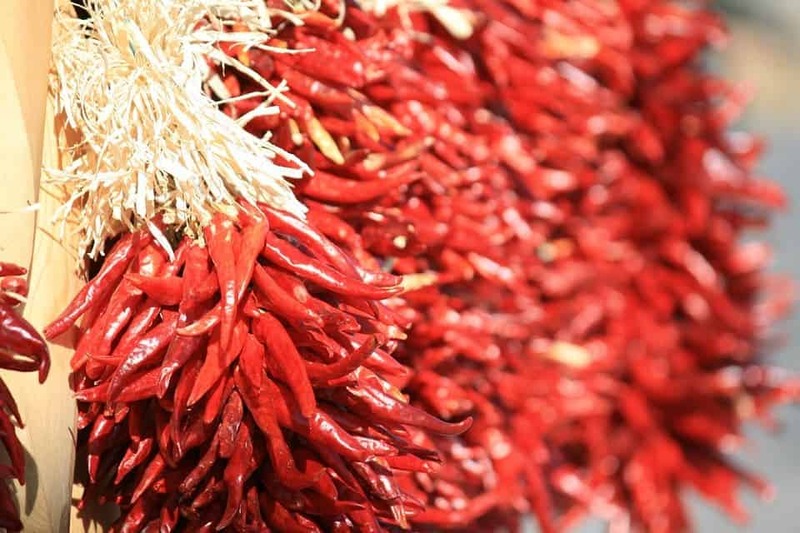 Specifically, capsaicin — the chemical that gives peppers their heat — binds to a receptor called TRPV1. The interaction produces a chemical called anandamide which is an endogenous cannabinoid — lipids that engage cannabinoid receptors. The chemicals found in marijuana engage the same receptors, it’s just that the endogenous variety is produced by our own bodies. When researchers from the University of Connecticut fed lab mice with capsaicin, the rodents had less inflammation in their guts. That’s because anandamide binds to another receptor in the digestive tract that stimulates the production of macrophage, a type of white blood cell that lowers immune response and therefore limits inflammation. But the real surprising find was that they actually cured mice with Type 1 diabetes just by essentially feeding them chili pepper. The same gut-calming results were observed by feeding the mice anandamide directly, as reported in Proceedings of the National Academy of Sciences. Anandamide receptors are also found in the brain, which has always been a mystery. Unlike opiate receptors, the receptors that cannabinoids in marijuana bind to have no apparent vital bodily function. That’s fine since we could never have gotten high on marijuana otherwise, but molecular evolutionary mechanisms are pretty precise. It’s just weird this happens — unless there’s something we’re missing. “This allows you to imagine ways the immune system and the brain might talk to each other. They share a common language,” says Pramod Srivastava, Professor of Immunology and Medicine at UConn School of Medicine. And one word of that common language is anandamide. This is the first study that showed a link between cannabinoid receptors and immune functions. Because it’s very difficult to get a federal license to study marijuana (John Oliver explains why in a recent show if you missed it), it’s very hard to know at this point if ingesting marijuana can render similar results as hot peppers. “I’m hoping to work with the public health authority in Colorado to see if there has been an effect on the severity of colitis among regular users of edible weed,” since pot became legal there in 2012, Srivastava says. Well, at least if you live in Colorado, there’s one thing you can try: marijuana chili. Proceed at your own risk. I have not vetted this recipe but it sounds wild, right?